"I think it will not fall through." 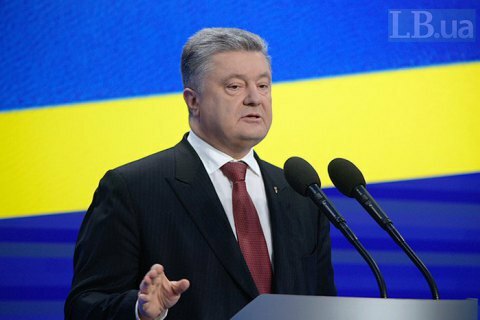 President Petro Poroshenko has said that Russia will release two more Ukrainians held there by the end of the week. "I can say that by the end of the week we will bring two more hostages home. The place and the date have been agreed. I think it will not fall through. But I can say this is one of my top priorities and I personally deal with the issue. I can say that decisions on each person are taken at the top level in Russia. This is true," he said at a news conference in Kyiv on 28 February. First deputy speaker Iryna Herashchenko, who is involved in exchanges of hostages, added that they can be released in the coming days. "The president has just said at the news conference that two Ukrainians illegally held in the Russian Federation can be released by the end of the week, possibly on Friday. Indeed, we have long been working on this and there is an agreement that by the end of the week we will have had good news. Let other details remain out of the box. Let me add (since there were media speculations about Roman Sushchenko and Oleh Sentsov), these are other Ukrainians. But we continue fighting for Roman, Oleh and other prisoners of the Kremlin," she said on Facebook.